I have been known to be a little fruity sometimes! I love a great snarky joke or the fashionably sensed individual wearing really fantastic shoes. This month I want to talk about the sweetest things in the world, ripe fruit. It seems that every year we get a very short window to enjoy this fruit at it’s best. 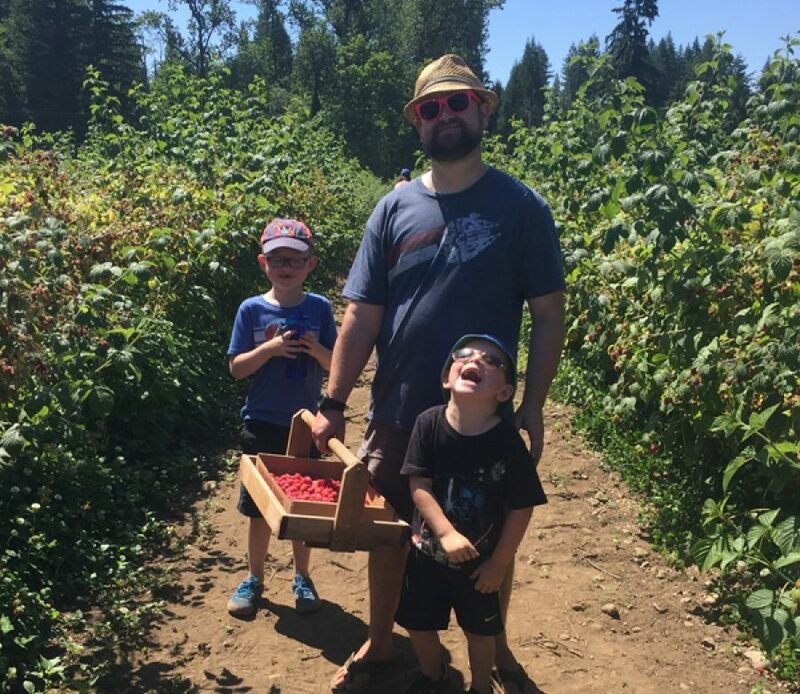 The other week I went raspberry picking with my boys and we pulled some amazing fruit off the vines and I returned home to make a great Jam. Heat fruit and sugar in large saucepot with lemon peel, thyme and ginger. Bring to a boil while mashing with a potato masher. (mash less or more considering how chunky you want your jam. Remove lemon peel and thyme stalk with tongs and discard. Bring jam up to 220 degrees Fahrenheit. Place your jam in sterilized jars and seal tight. Place in refrigerator or boil for longer preservation.